Cookies and cakes are perfect for almost any occasion. From birthday parties, to a general get-together, to a board meeting with top executives, you can bet that there’s always a demand for such treats. With that being said, starting a baked goods businesses doesn’t sound like a far-fetched idea. 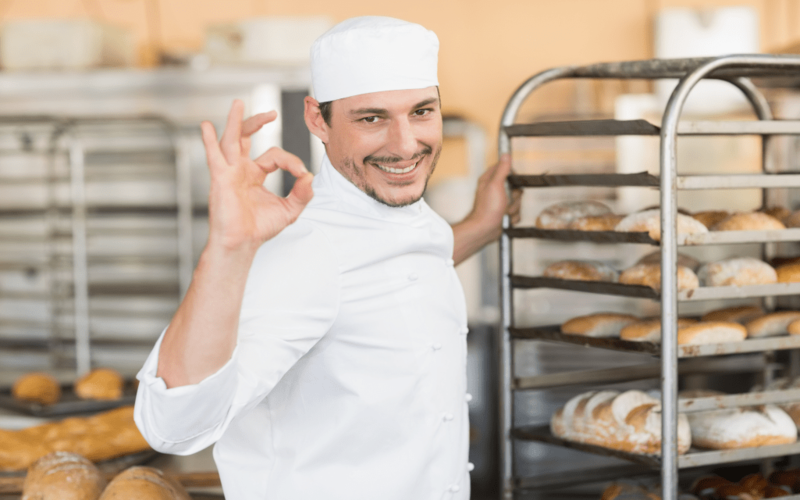 To begin with, the advantages of running a bakery are not easily overlooked. In terms of quality, you as the business owner have direct control over your recipes as well as the quantity you opt to produce. What’s more, there’s always an assurance of a steady stream of customers, which enhances a bakery’s potential for expansion. At any rate, making (or baking) it big as a food service startup involves knowing how to get there. With that said, here are the best tips for venturing into the world of baked treats. Nowadays, people have become drawn towards online shopping platforms. In fact, most large brands maintain online stores where transactions are made seamlessly, and the goods are delivered straight to one’s doorstep. It might sound unusual to some, but opening up a virtual bakery is gaining massive traction over the years, thanks in part to the establishment of online marketplaces in social networking sites such as Facebook. There, customers can contact you directly about their specifications and the mode payment they will be using. If you plan on running a custom cake design service, opening up an online store can help you get a great deal of exposure. At best, it doesn’t necessarily mean that you have to spend a lot. In most cases, you can still find deck ovens and other baking equipment that are as efficient as big brands. For this, you might want to know about the technical side of baking just so you can maximize your investment. Aside from ovens, you also need to purchase the right bakeware to go along with your machines. Enamel tools are always great, but the health risks they pose shouldn’t go unnoticed. To be safe, invest in stainless steel and make sure you exercise proper care in storing and cleaning them. TIn food service, it’s always the taste that drives success. And while you can always add a dash of artificial ingredients to your concoctions, using fresh farm-sourced produce is still the way to go. After all, using local ingredients minimizes costs as opposed to importing them from other places. Moreover, the time it takes to deliver the ingredients reduces freshness and, therefore, affects the way your products taste. The key to a successful startup food enterprise is to add in a bit personality to your brand. Depending on your niche, you can use themes in creating your products. For instance, if you want your brand to be more appealing to the vegan crowd, you can build a menu of gluten free options that suit their lifestyle. It’s just a matter of knowing your audience and giving them the best experience you can offer.